A music company accused it of "willful infringement on a staggering scale." 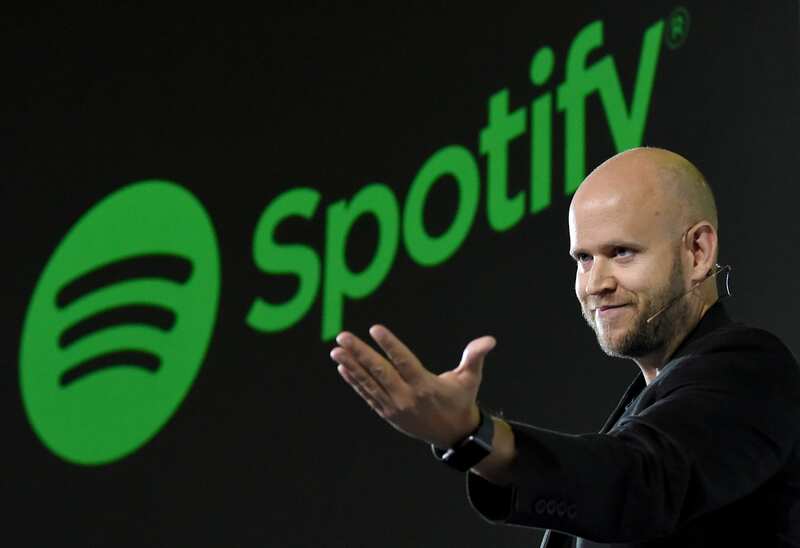 Spotify's streaming business is legally tricky, and just ahead of an IPO that could value it at $13 billion, it's facing two more vexing lawsuits, according to THR. In one, Bob Gaudio of Frankie Valli and the Four Seasons alleges that '60s hits like "Can't Take My Eyes off of You" are being streamed without proper licensing. The other suit comes from Bluewater Music Services Corporation, which manages the streaming rights of songs like "White Liar" from Miranda Lambert and the Guns 'N Roses' track "Yesterdays." All told, over 2,500 songs are in dispute. Bluewater said Spotify "rules the streaming market through a pattern of willful infringement on a staggering scale," and added that anything less than $150,000 per infringed song will "amount to a slap on the wrist." While Spotify has licensing deals with labels to use sound recordings, the latest suit is over composition rights. Every time a song is played anywhere, its writer receives a cut of the profits. To figure out who to dole out payments to, Spotify works with large agencies, but those groups don't represent every artist out there. Spotify has called the task of tracking those composers down "daunting," but artists and publishers who have sued it say it has failed to do enough. It was recently hit by a class action suit, and settled this May for $43.5 million. Any publishers who want to opt out of the settlement have until September, so Gaudio and Bluewater did just that. Bluewater's claim states that the class action settlement will let Spotify pay about four dollars per infringed song, a sum that will do nothing to punish its behavior. "Such a settlement is essentially an empty gesture that encourages infringement and is entirely insufficient to remedy years of illegal activity." Spotify may face other claims before the deadline, too. Bluewater and Gaudio contracted Audiam, a company that sniffs out unlicensed streams, and Richard Busch, the lawyer who won a $5.3 million settlement from "Blurred Lines" artists Pharrel Williams and Robin Thicke. Spotify has recently denied allegations that it uses fake artists to reduce royalty fees. "We do not and have never created 'fake' artists and put them on Spotify playlists," a Spotify spokesperson told Engadget last week.